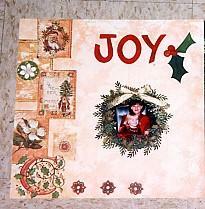 Made the wreath by using the fern punch...then used holly punchies around it. Used metallic chalks...don't know if it will show. And for the berries I used liquid pearls.